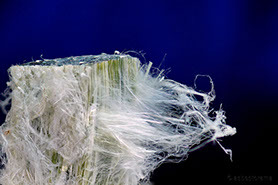 Asbestos is a mineral that was used for many years in many different industries. It was also found in common household appliances and textiles. Its fibers are easily inhaled or swallowed, and it does not take much exposure before the mineral has the ability to induce harm. Its effects were not immediately obvious to those exposed to it, because asbestos doesn’t begin to harm its victims for many years after exposure. However, once this latency period expires, asbestos exposure may result in asbestosis, lung cancer or mesothelioma – a deadly and incurable disease. Despite the public’s ignorance of the dangers of asbestos, companies that made and sold asbestos products were not oblivious to its hazards. They were fully aware of the illnesses and deaths associated with asbestos exposure, yet in an attempt to save money, they failed to take the proper precautions to reduce or eliminate exposure. 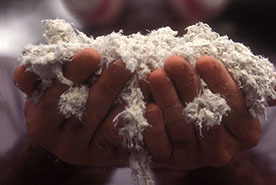 Though asbestos exposure is not as prevalent today, some people who were exposed to the fibers as far back as the 1940s are just now developing complications. If you or someone you know has mesothelioma, we want to help you. We’ll provide you with a free consultation and inform you of your rights and options regarding compensation for your suffering. Simon Greenstone Panatier’s lawyers have obtained dozens upon dozens of jury verdicts for their clients.